The clubhouse is reserved exclusively for residents and their guests and offers a room for every occasion. For social gatherings, residents can meet for a drink at the club roomâ€™s bar or play a round of cards in the game room. The Wi-Fi library and stylish sitting room offers residents a quiet space to relax while providing the ability to connect to the Internet. The clubhouse also houses a large great room to be used for a wide variety of events. Adjoining the clubhouse is a state-of-the art fitness room that overlooks a heated outdoor pool and spa, sporting personal TVs on each piece of equipment. 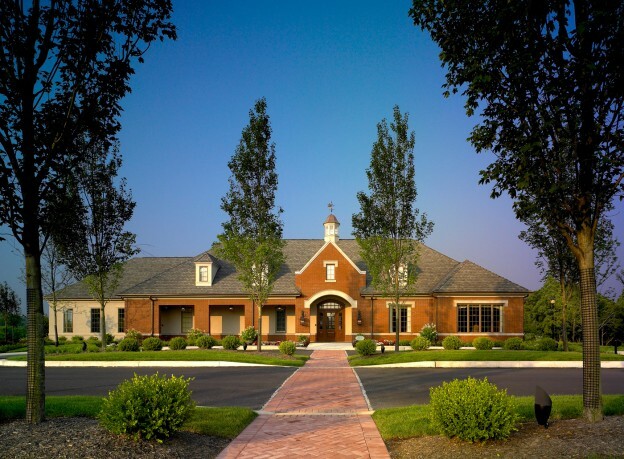 The clubhouse serves as the perfect complement to the posh lifestyle at Athertyn, which embraces 180 condo homes and nine distinct home designs, many with dramatic views of the surrounding Haverford Reserve.